"I have used several of the success stories with students. The results have been overwhelmingly successful. 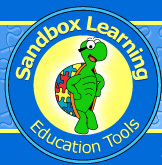 The students love the personalization and graphics." New - iCan Toilet Training ProgramTM App! Tackling toilet trainig? iCan Toilet Training ProgramTMis an app that can help! Success Stories are personalizable children's books. 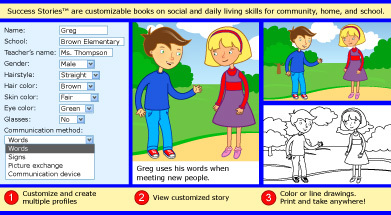 Customize the illustrations to the child's appearance based on gender, hair style and color, eye color, skin tone, glasses, and method of communication. Alter the text to personalize the story's content. These fun and engaging children's books make every child feel special. Build a book together for a fun and creative activity or let a child know you care by creating a book just for them. 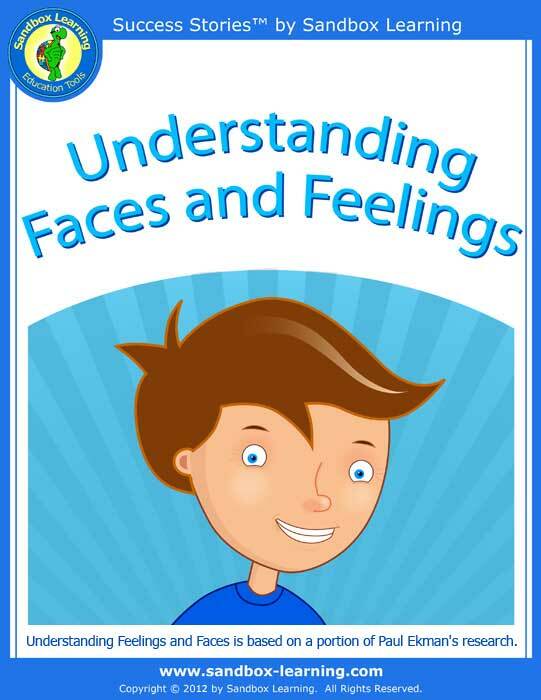 Our collection of children's stories addresses emotional, social, safety, and communication skills to foster character development. Register today for a free ebook, "Waiting." Click Here To Try.